Blending nature, the city life of New York City, and the European styles of her childhood, Meira Tugendhaft of Meira T presents fashion jewelry pieces that effortlessly depict the beauty of the world around her. She lives to bring extravagant and striking pieces to life as her love for fashion and travel brings unique and inspiring pieces to the fine jewelry industry. The brand utilizes some of the top trending metals like 14 and 18 karat gold, as well as precious gemstones ranging from diamonds to pearls. With their trademarked off-centered charms, these feminine and wearable modern jewels have cultivated a cult-like following. 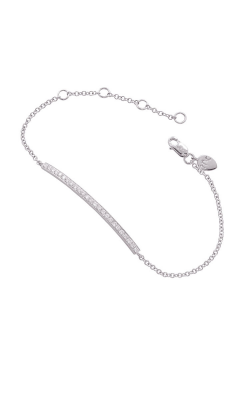 Meira T collections are available in varying bracelet types from brilliant beads in white gold and yellow gold to delicate chain bracelets that present intense colorful gemstones and diamonds. Let the fashionista in you really stand out with some of their diamond adorned cuffs in chic and highly in-demand designs made of rose gold and timeless yellow gold. One can also shop Meira T earrings in dramatic drop, outspoken hoop designs, and attention-seeking and diamond adorned stud earrings. The collection of Meira T earrings brings bold and lively design elements in every piece. Elevate your wardrobe with Meira T necklaces and pendants. Their off-centered charms bring a unique aesthetic that bring art to an-otherwise ordinary fashion statement. From diamond studded pieces that feature highly coveted gemstones to pearl necklaces that seem to glow from within, these pieces inspire high fashion with their exotic and intricate designs. Also available are Meira T fashion rings. These right-hand rings boast uniquely stand-out designs, cuts, and shapes. These pieces speak for themselves with a varying range of colors and hues in their stellar center stones. Why Shop for Meira T Jewelry at Long Jewelers? Long Jewelers of Virginia Beach, Virginia is an authorized retailer of Meira T fine jewelry and the designer’s inspirational collections. With over 30 years in the jewelry business, our expert staff is happy to help you find the fashion jewelry piece that perfectly elevates and speaks to your style. As a member of Preferred Jewelers International, you get coverage and peace of mind across the U.S. and the Caribbean. We offer 0% financing to those who qualify through Wells Fargo and a lifetime diamond upgrade service so that your diamond can grow along with your growing relationship. Stop by our expansive showroom and discover quality jewelry pieces from today’s hottest designers like Meira T!